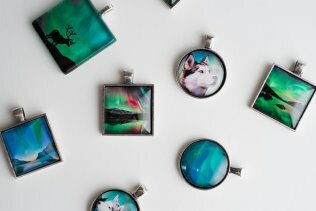 Take the magic of the Northern Lights home with you ! See the northern lights every day. 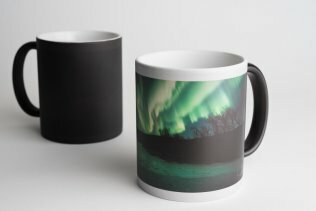 Pour in any hot drink and magically the northern lights will appear. Can be used with tea light, LED or votive candle. The candle inside the glass evokes the impression of the moving northern lights. 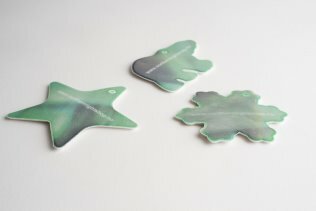 Can be used with tea light, LED or votive candle. 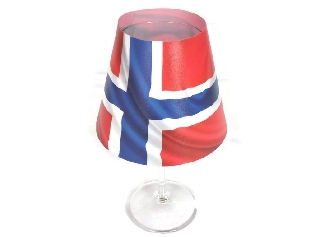 The candle inside the glass evokes the impression of the moving midnight sun. Can be used with tea light, LED or votive candle. 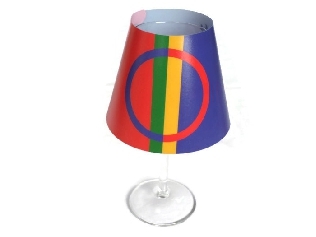 The candle inside the glass evokes the impression of the moving sami flag. Can be used to keep papers safe for transport. Keep warm and fashionable in cold nights. 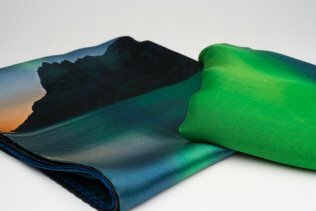 The warm satin silk has a print of mountains, the sea, sunset and the northern lights. Keep warm and fashionable in cold nights. 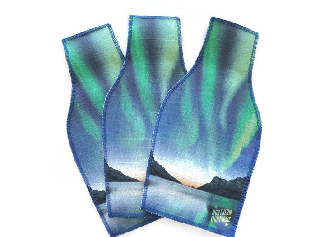 The light thin silk chiffon creates the impression of the waving northern lights. 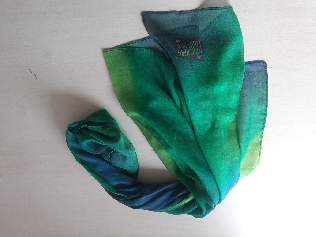 Keeps you warm and fashionable in cold nights. 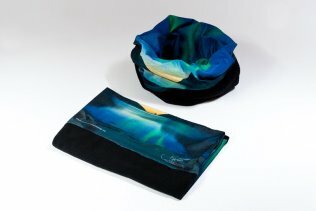 The warm wool with the northern lights colours creates the impression of the waving northern lights. Keep warm and fashionable in summer nights. 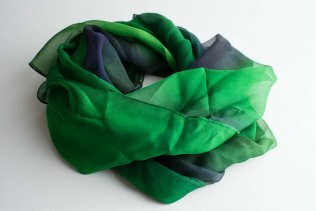 The light thin silk chiffon creates the impression of the midnight sun wandering across the sky. 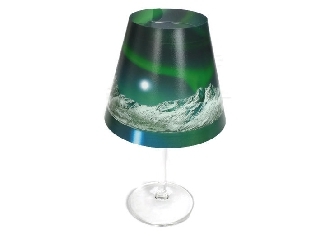 See the northern lights every day on your decorative vase. Beautiful motive of the northern lights. Comes flatpacked, just put it over a bottle, add a flower and enjoy. Enjoy Norwegian knitwear every day. 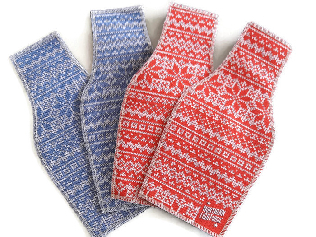 Beautiful motive of traditional Norwegian patterns. Multifunctional headwear to keep warm and comfortable out in the cold. 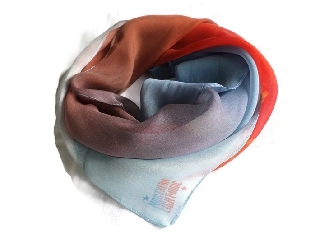 Can be worn in many different ways, as a balaklava, neck gaiter, headband, scarf, windscreen and many more creative styles. 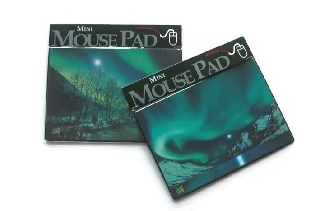 See the northern lights every day when you are working on your computer. 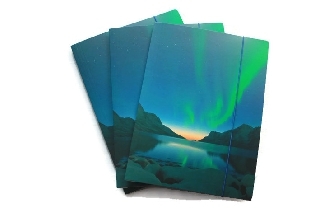 The back has explanations about the northern lights. 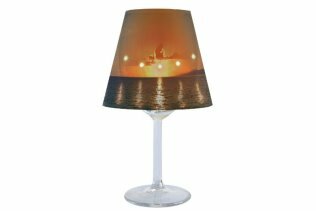 See the midnight sun every day and night when you are working on your computer. 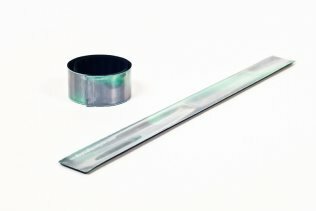 Fluorescent and reflective slap band for use on wrists, ankles, bike frames, strollers and much more! 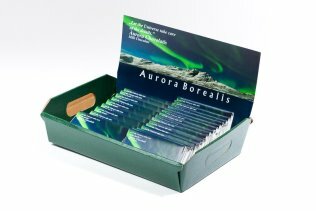 Combines safety in dark nights (and polar nights) with fun when slapping it on your arm and with beauty when reflecting the colors of the northern lights. Fluorescent and reflective soft reflex for use on jackets, satchels, strollers and much more! 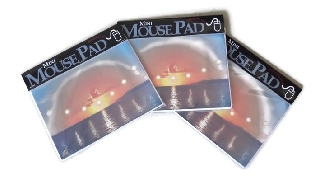 Combines safety in dark nights (and polar nights) with fun for kids. and grown ups. 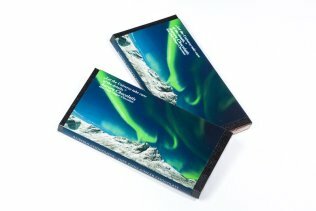 Aurora chocolatis bar 100 gr. Delicious milk chocolate with chili and ginger to keep warm or to delight your friends and family. A box contains 100 assorted bars, 75 bars with 30 g plain milk chocolate and 25 bars with 30 g dark chocolate. Hand made in Germany. 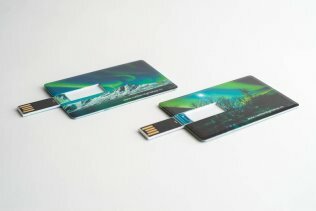 Never again forget your usb stick, carry it with you in your wallet!